When does a human-constructed place go beyond the human, and how necessary is this transgression? 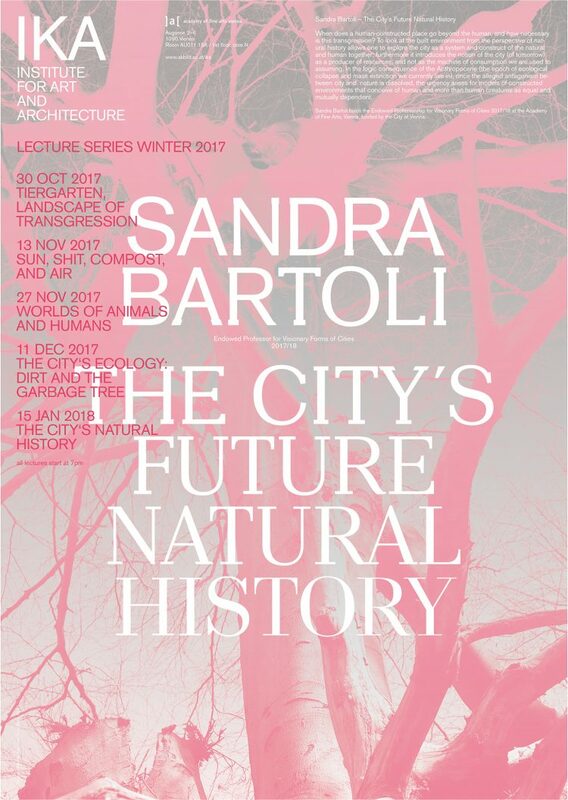 To look at the built environment from the perspective of natural history allows one to explore the city as a system and construct of the natural and human together; furthermore it introduces the notion of the city (of tomorrow) as a producer of resources, and not as the machine of consumption we are used to assuming. In the logic consequence of the Anthropocene (the epoch of ecological collapse and mass extinction we currently live in), once the alleged antagonism between city and nature is dissolved, the urgency arises for models of constructed environments that conceive of human and more than human creatures as equal and mutually dependent.